The death toll from Michael's destructive march from Florida to Virginia stood at 17, with just one confirmed death so far in the town of about 1,000 people that took a direct hit from the hurricane. Mexico: Upon touring the damage in several towns along Florida’s Panhandle, Federal Emergency Management Agency chief Brock Long called the destruction left by Hurricane Michael some of the worst he’s ever seen. 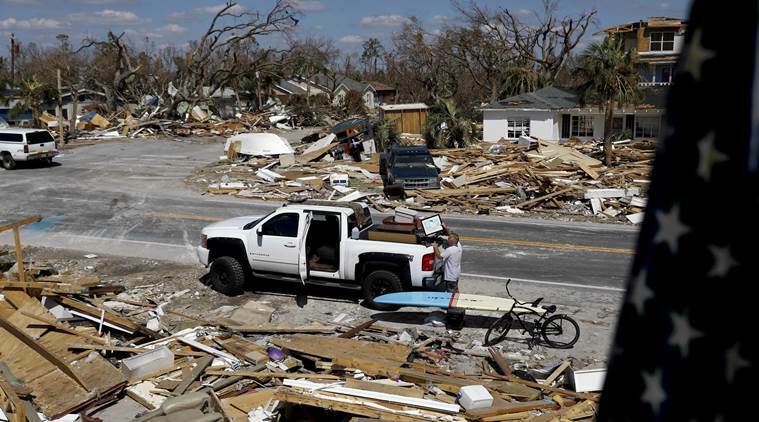 The death toll from Michael’s destructive march from Florida to Virginia stood at 17, with just one confirmed death so far in this town of about 1,000 people that took a direct hit from the hurricane and its 155 mph (250 kph) winds last week. Some victims stranded by the storm managed to summon relief by using logs to spell out “HELP” on the ground, officials in Bay County, which includes Mexico Beach, said in a Facebook post. An official said someone from another county was using an aerial mapping app, noticed the distress message and contacted authorities. The base is home to some of the nation’s most advanced fighter jets, and Nelson said some hangars were damaged severely. But he gave no information on how many planes were on the base during the storm or how many were damaged.